being little • bristol uk fashion & lifestyle blog. 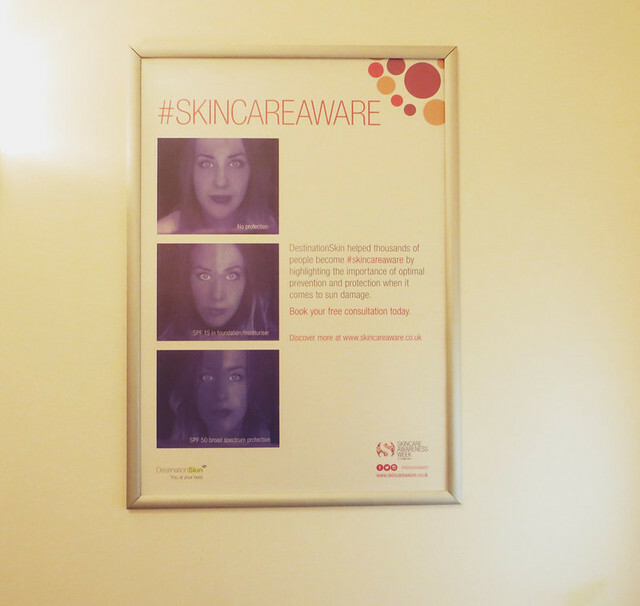 : #skincareaware with destination skin. 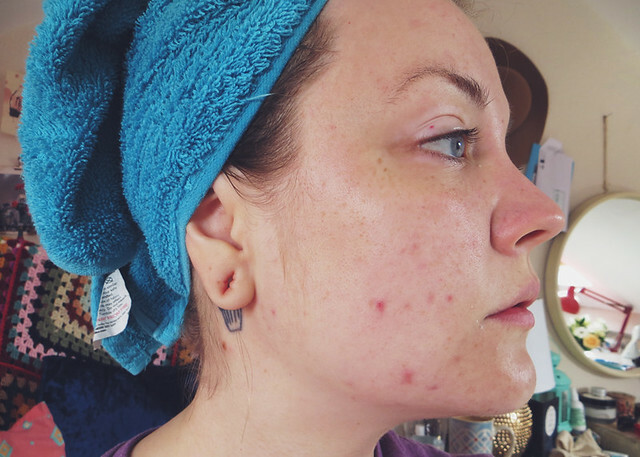 I've always been a little shy around skincare and baring my face to new people (you can see why in my final - very brave - photo!) and never really taken the time to get to know my skin and how to look after it. I'm ashamed to say I'm a facewipe girl in the evening, and a splash of cold water in the morning.. I'm in my late 20s now (urgh.) and I keep thinking about spending more time taking care of my face & body - these youthful looks aren't going to last forever! 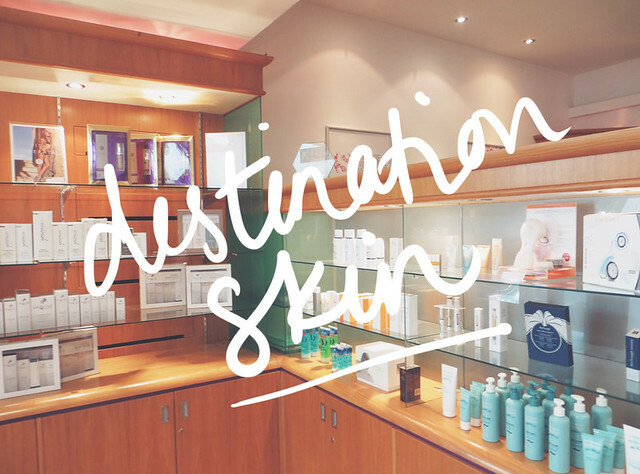 - so I was really excited to head to DestinationSkin to learn more about how to take care of my skin. I was greeted by lovely Stef, who gave me a form to fill out & then took me into a treatment room. She asked me all sorts of questions about my skin, including what I find most problematic (break outs and oily skin, in case you wondered). She gave me a lovely soothing face wash so that she could really see what was going on with my skin. She pointed out that I had a lot of product build-up and large pores - ew! - as well as a bit of scarring. 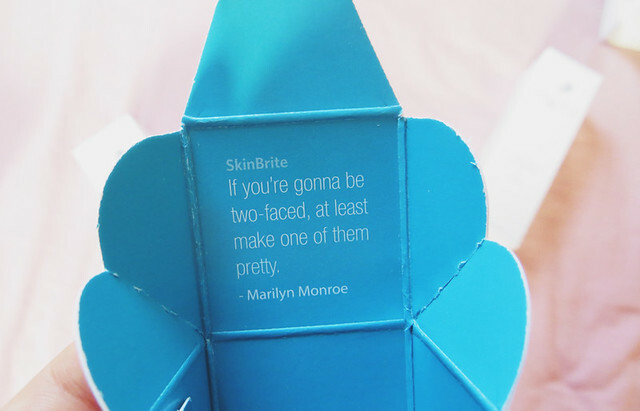 After this, I stuck my head in a special UV box to see what sun damage my skin had incurred - you can see what this looks like on Emily's blog post. What showed up was my freckles! And while they're all very cute, they are actually a sign of sun damage and can be not-so-cute as we get older, and any moles can be susceptible to nasty things. I was shown the difference when I put suncream on, and it really is an amazing protective barrier. You can see how effective it is in this short video! So we sat down and Stef wrote up a treatment plan for me. On the 2nd June I'll be starting a course of microdermabrasion, which does sound a bit scary, but I've been reassured that it's really not. In the mean time, I've got lots of products to use (see above!) and have been told exactly how to use them. 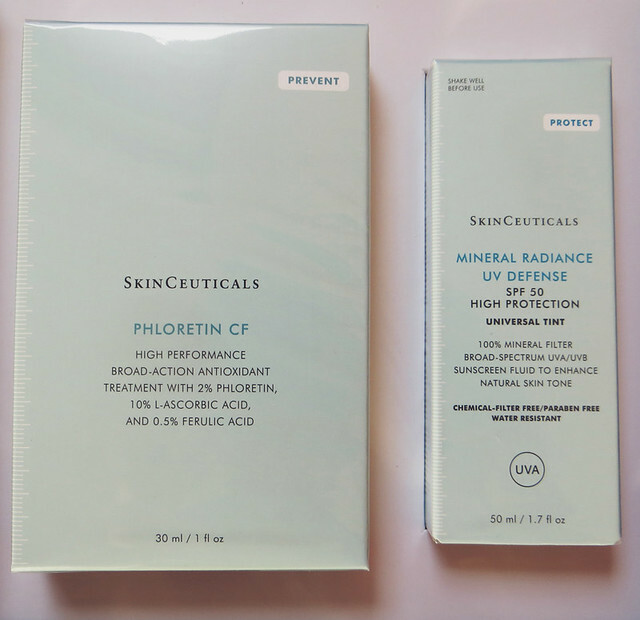 I have often found it really tricky knowing what products to use, and how to use them. 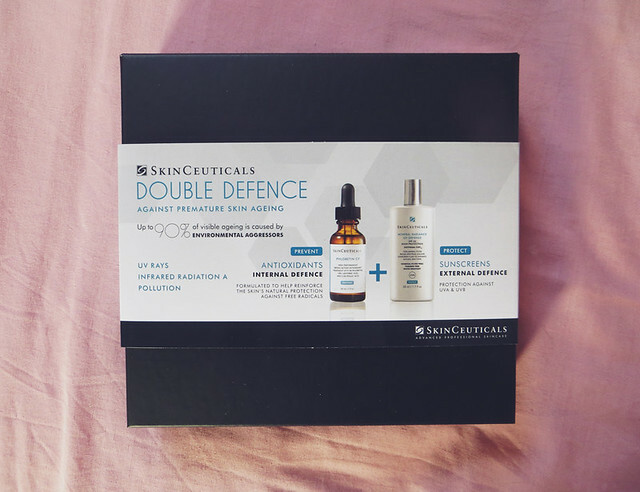 Having sensitive, combination skin makes me really wary to try new things, so I'm really excited at the prospect of having something that is specifically tailored to my skin & its needs. 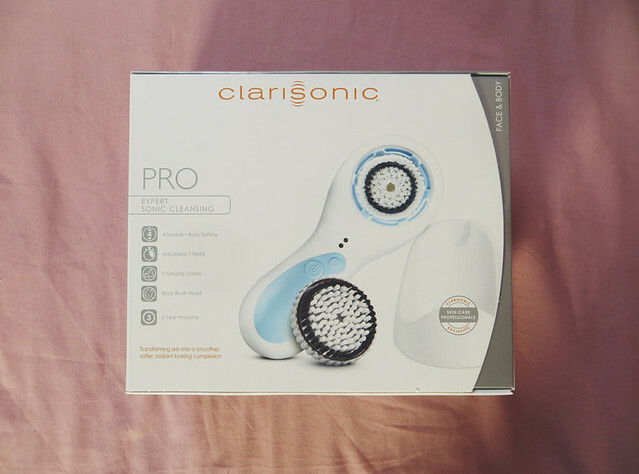 I used the Clarisonic for the first time this morning and it made my skin feel incredibly soft! 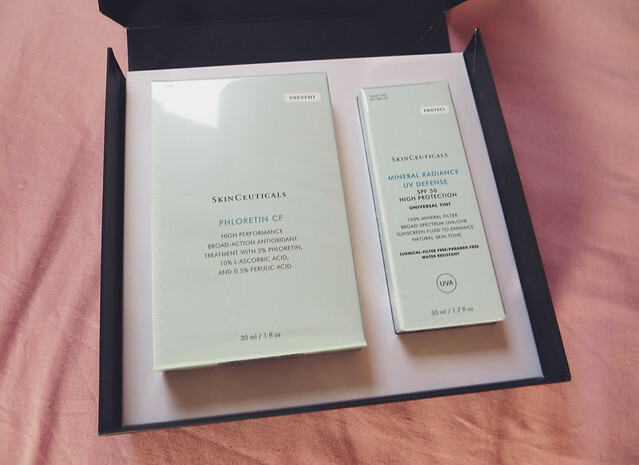 Make sure you check back in a few weeks to see if my skin has improved from the photo below, and in the meantime you can enter this competition to win £1000 worth of treatments at your local DestinationSkin clinic! I've never heard of DestinationSkin but sounds like a good service for those with skincare woes. I'd love to have a treatment like this! 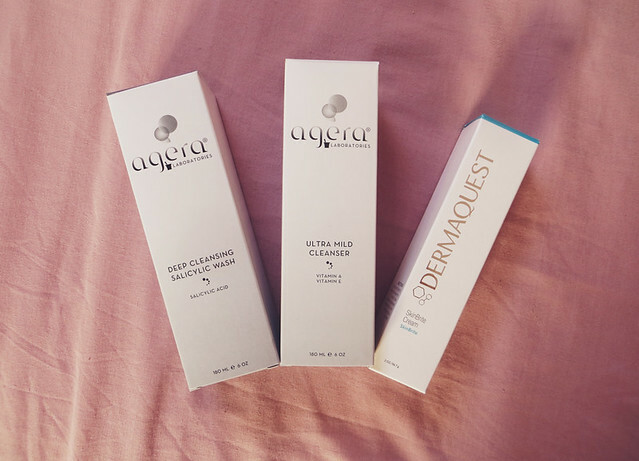 I really struggle with oily skin which is prone to breakouts and scars easily, but no matter how many different products I use, nothing seems to really make a difference. 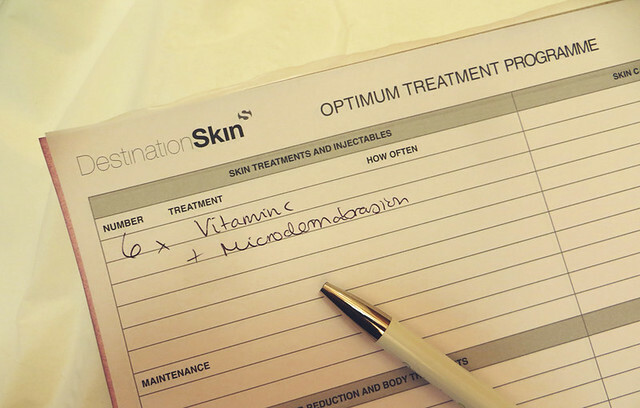 It must be great having your skin in the hands of professionals who know exactly how to help it!